The Shop Glassboro Property Tax Reward Program rewards Glassboro homeowners with credit toward their residential property tax bill for making purchases from any of the growing list of more than 20 retailers and restaurants already involved in the program. Residents receive automatic property tax rewards posted yearly to their 3rd Quarter Tax Bill. Renters, out-of-towners, and Rowan University employees can also take advantage of the program, and will instead be issued annual rebate checks each July. 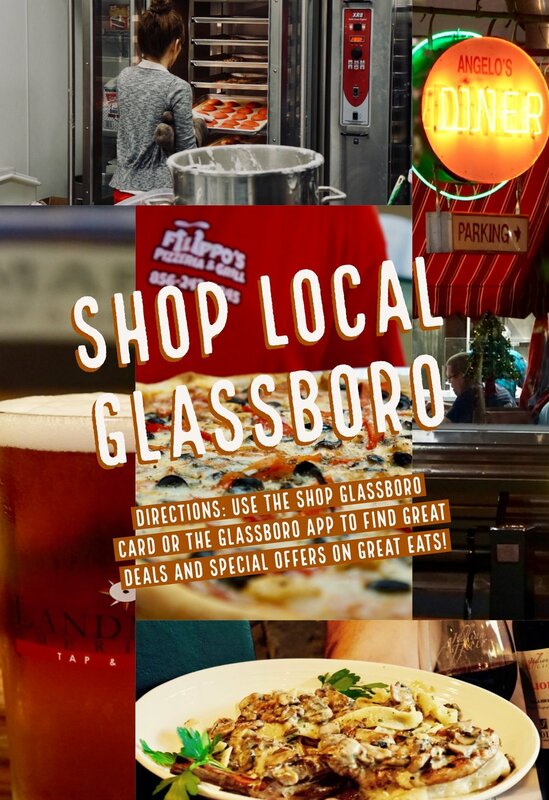 The Property Tax Reward Program is part of Glassboro's overall Shop Dine Local initiative, offered in conjunction with Gloucester County Economic Development department and the Gloucester County Chamber of Commerce. Simply pick up a free card at Investors Bank in Glassboro. Shoppers then register their cards online at PropertyTaxCard.com where they can track rebates at any time and also get updates on the expanding list of participating businesses. Thanks to the appeal of property tax rebates, local businesses should enjoy a higher business volume. Furthermore, continued support by the borough should provide a high awareness for local businesses. An additional feature is that you will have access to the email addresses of customers that used the card at your business. Finally, your business banner and website link will be featured on propertytaxcard.com at no extra cost. You may register online. You may also email us at Admin@propertytaxcard.com or call our Customer Service number (732) 946-0919. After you enroll, you are now ready to provide property tax credits to your customers. When you complete a sale, together with the normal payment for goods and services, the cardholder will also present its PTC. You will swipe the card in a dedicated processing terminal that we will provide. You may also choose our easy-to-use web terminal if you have access to the internet. Processing the card will result in a rebate on sale. You, the merchant, will determine the rebate percentage at the time of your enrollment in the program. Every week, the accumulated rebates will be collected by Fincredit from your designated checking account. Yearly, the rebates will be applied to your customer(s) property tax bill.